This entry was posted on Wednesday, January 20th, 2016 at 4:21 pm. 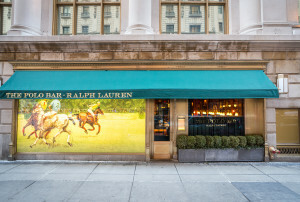 If you stroll along Fifth Avenue and East 55th Street in vibrant Midtown Manhattan, you will be greeted by a large window depicting three colorful polo players in the midst of a rousing match. 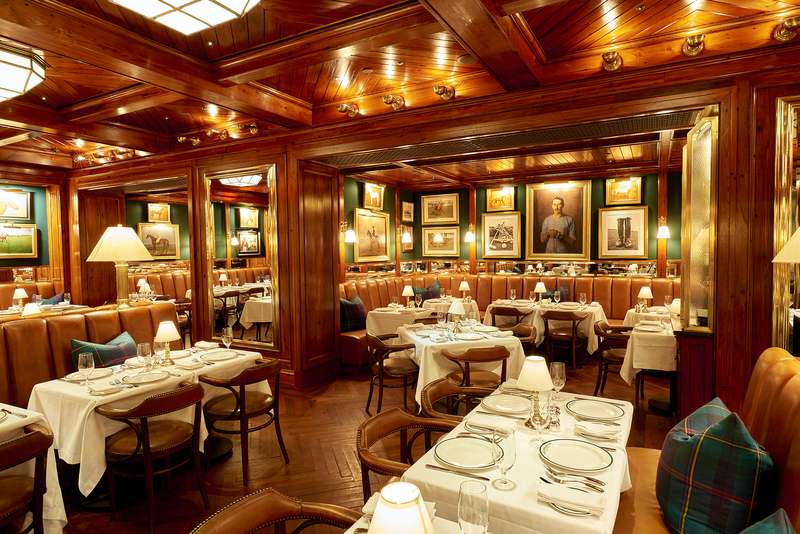 It is here that you have found Ralph Lauren’s first restaurant in New York City, The Polo Bar, located next door to his new Polo Ralph Lauren flagship store. My husband, James, and I had the pleasure of dining at The Polo Bar recently while on vacation in New York. I read that reservations were an absolute must, so I called earlier in the year to schedule a time. I was told to call back the month prior to our visit, to the exact day, to secure a slot. At the entrance to the restaurant, two employees were stationed on the sidewalk, checking names and reservations and greeting their guests. (I don’t believe you can even go inside to the bar without a reservation). 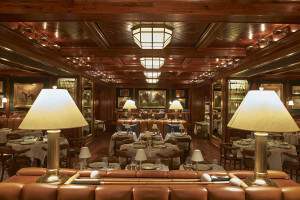 Through that main door is the bar area, dimly lit and ensconced in equestrian art and accessories from floor to ceiling. At the back of the bar, we were greeted by yet another hostess who told us to continue down the stairs where the main dining room is located. We took our time descending the stairs as the stairwell was lined with more artwork; horses of every breed, color, and size welcomed us in. Finally, at the foot of the steps we met one last hostess who showed us to our seats. 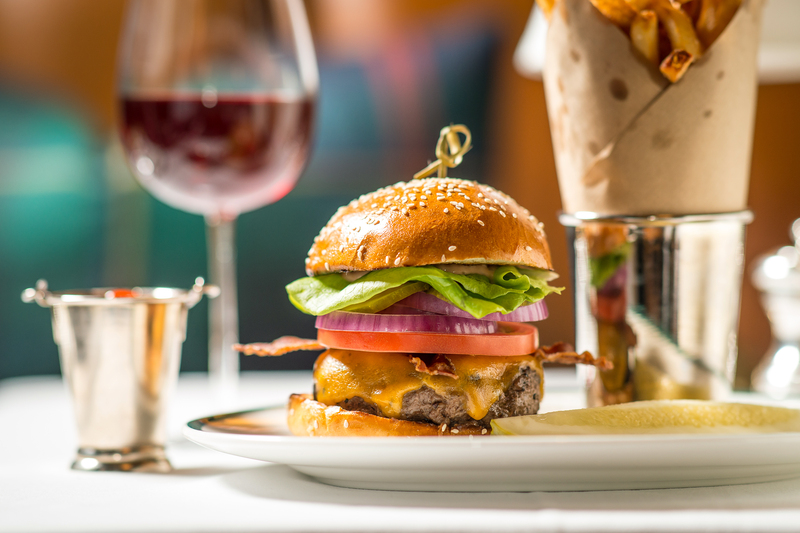 We had a corner booth with a round table; a plush plaid pillow to lean against sat in between. To say that the room was splendid would be a gigantic understatement. We were surrounded by more equestrian décor and accoutrements; each English discipline was featured, along with a variety of horse portraits, photographs, as well as polo helmets, mallets, and additional equestrian trappings. It was breathtaking. Even my husband, who is not particularly horsey, was awestruck. The room was also dimly lit, but it was not dark as most pictures received their own light, illuminating them from above, regardless of their size. The walls were dark cherry wood, matching the ceiling above which was dotted with its own pin lighting. Our waiter was charming and witty, making me laugh throughout the meal. The meal! Even though I was technically there for the atmosphere, we were looking forward to the food. Not surprisingly, it was probably the best meal James and I have ever enjoyed. Popovers were presented at the start, and while they looked delicious, (and James confirmed), I could not indulge as I have a gluten allergy. No worries – our waiter immediately brought me some gluten-free breadsticks, toasted and buttered to perfection. As for our entrees, James ordered the 12 oz. filet, and I choose the salmon – both were wonderful. The sides were large enough to share, so we split mashed potatoes and grilled vegetables. Dessert was Ralph’s coffee-flavored ice cream for me (unbelievable!! ), and a berry cobbler completed James’ meal. Everything was absolutely perfect, even though we did get a few funny looks when James’ knee knocked into the table, causing his water glass to go flying onto the floor. I could not stop laughing because of course we’d do something to embarrass ourselves! However, we did fit seamlessly into the New York crowd thanks to our attire: James wore a suit, (jackets for men are not required, but are recommended), and I wore my favorite little black dress. I was sad when it was finally time to leave, but I know for sure that I’ll be back! 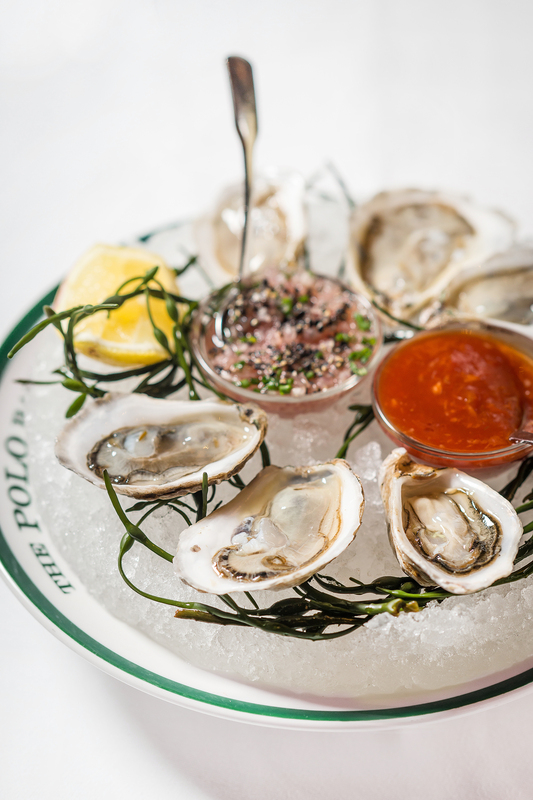 The atmosphere, the décor, the food, the whole experience from beginning to end could only be described as magical. A visit to The Polo Bar, for equestrians and non-equestrians alike, should be on everyone’s bucket list. 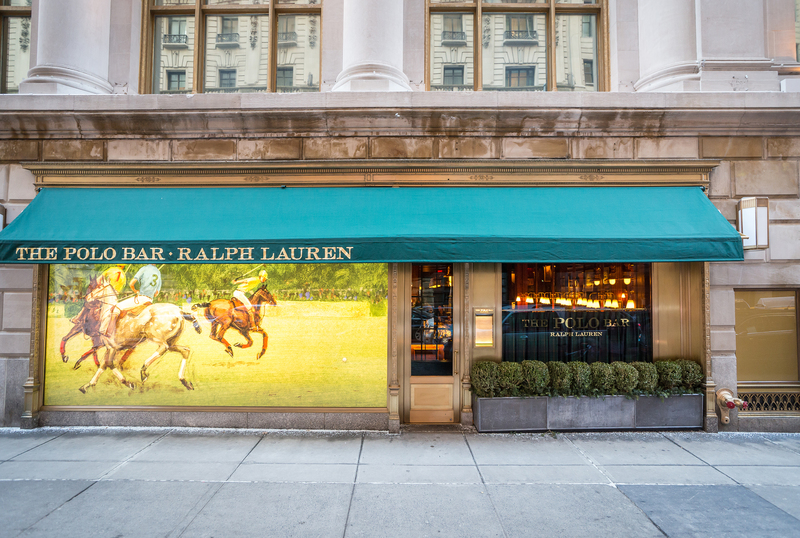 (All pictures courtesy of Ralph Lauren).